"Pala’fou" is an exciting way to end a day’s skiing in Tignes and will give big thrills lovers a new adventure to rave about! 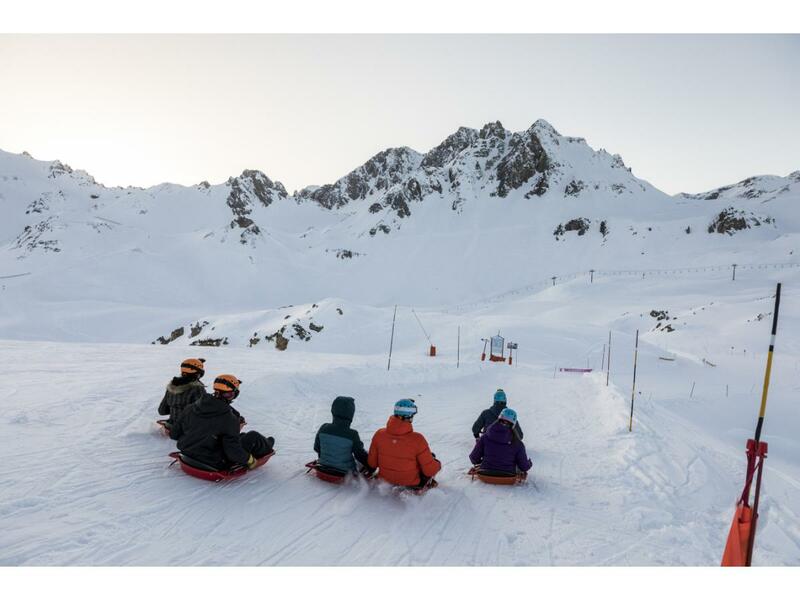 A dedicated 3km tobogganing slope, one 40-metre tunnel and a natural slope, all this accessible via the Palafour chairlift in Tignes le Lac: your turn to play! Opening on December 23rd 2018. Date of seasonal closure: depending on the snow conditions. More information: contact STGM (see below). Scan your lift pass at the top of the run and check how fast you ride down! The Pala’fou toboggan run follows the natural landscape ; Some parts are steep and require extra caution and careful driving. By its length and terrain variety, Pala’fou is a very sporty 3km downhill ; children might be quickly exhausted, and have to sized 1.40metres tall minimum. Parents must take responsibility for deciding whether their child can enjoy the activity safely. Pala’fou is dedicated to small and big daredevils!